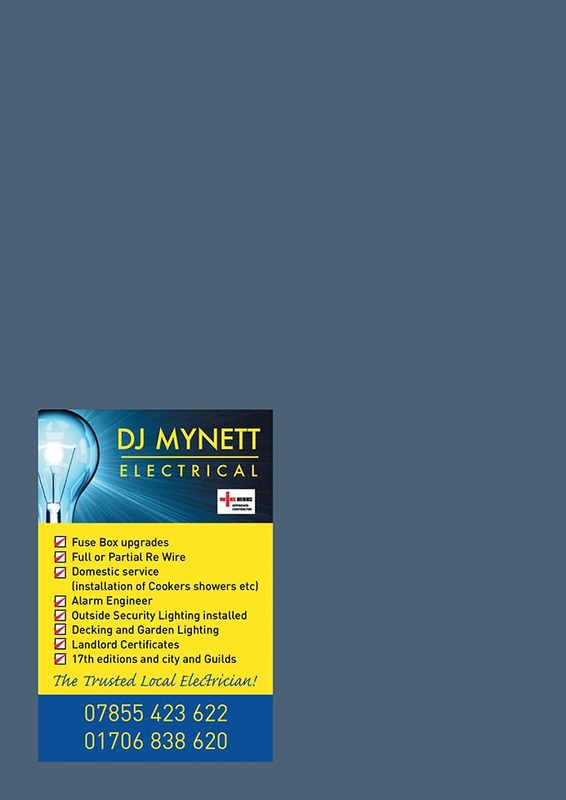 Regular local advertising works - we have advertisers that have been with us EVERY MONTH for 10 YEARS. Residents frequently tell us they have more confidence and feel ‘safer’ dealing with a local business. 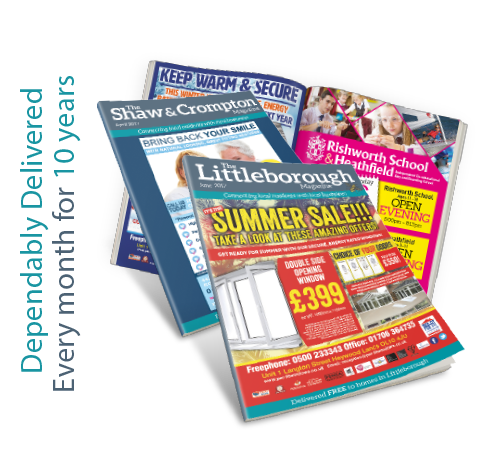 The magazines have glossy, eye catching covers and are produced to the highest quality with great features including business editorials, reviews, community news and local information. 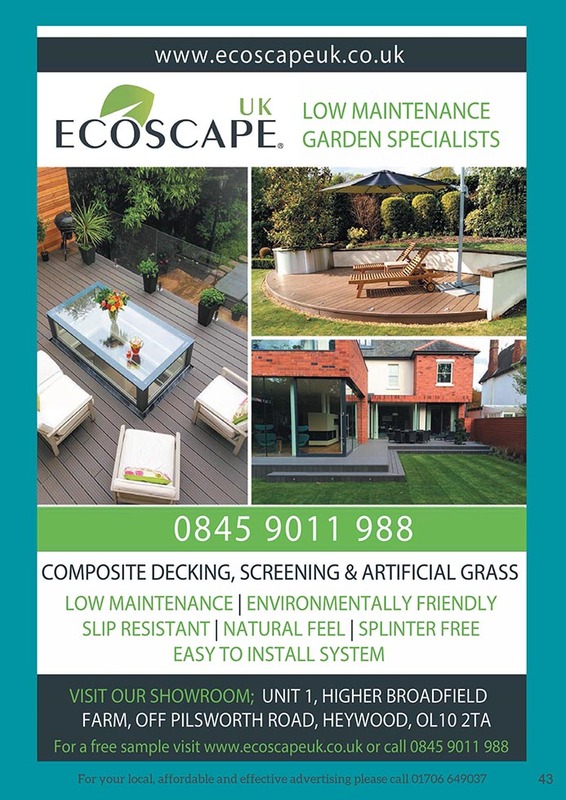 Free editorial is available to those customers who regularly advertise in the magazines. The rates below are for either title, a further discount of 10% will be applied for advertising in both titles. Can I go in just one Magazine or do I have to commit to more? You can go in just one magazine for one month, although with most things the price is considerably less when you book for longer, and as research proves readers generally need to see your advert a minimum of 3 times before they may respond. If you have a budget then my advice is better one area more times, than both areas at once. Do you have any offers if I advertise in more than one Magazine? Yes. Just contact us via the contact page or give me a call to discuss your requirements. How successful have other advertisers been? Well it’s impossible for me to quantify individual advertiser increased turnover BUT what I can say is that I still have advertisers with me now who have been with me for over 10 years – It must work for them and it will work for you too! How many Magazines are delivered? We have used our own team to hand deliver the magazines into 10,000 premium local property’s every month for over 10 years! Giving us an estimated 25,000 readership per month. How do I know which size advert is right for my business? 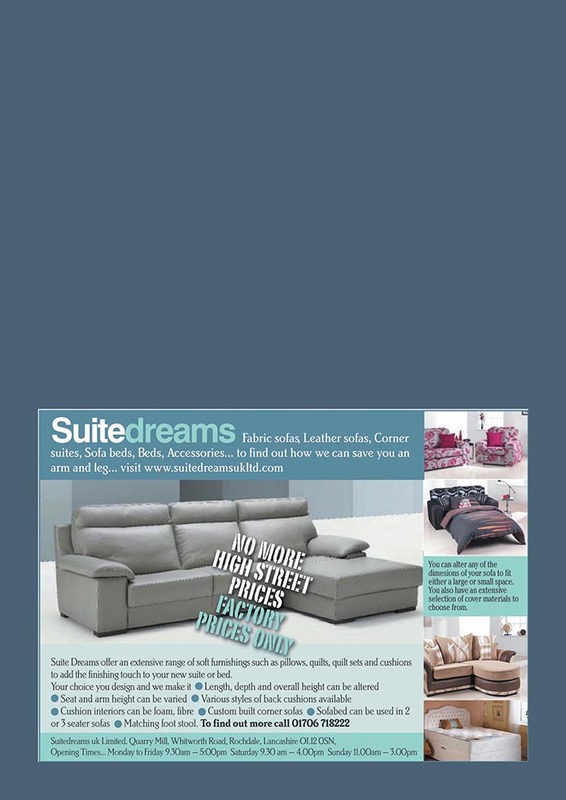 A Half Page Ad is best for a small/medium business that wants very good exposure in the area and a higher response rate. A Full Page Ad is great for a medium/large business wanting high exposure. Prime Pages (Front, Back, Inside Front & Back , Page 3 and Centre Pages) are for Businesses wanting Maximum exposure with excellent brand recognition. I don’t have an advert? Will I get a copy of the magazine once it is printed? Yes, we send a copy of the magazine to each of our Advertisers every month. Creating the perfect advert isn’t as hard as you may first think! 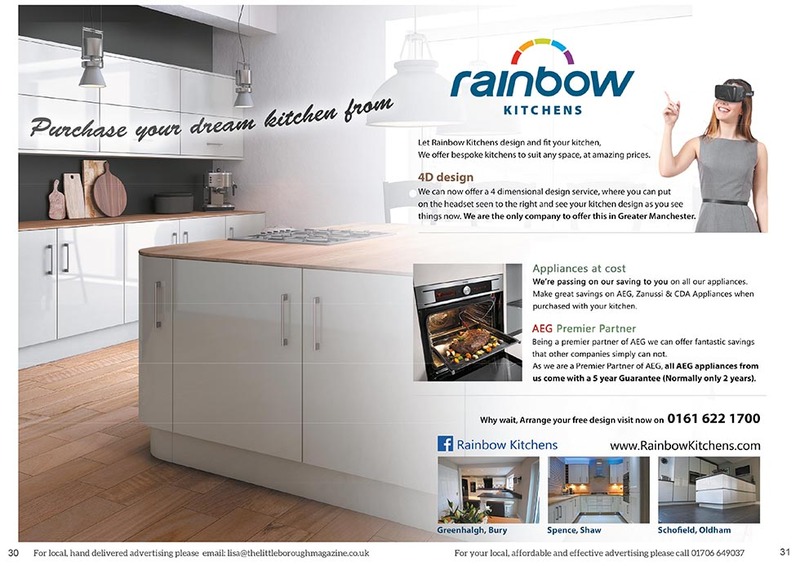 With a good detailed brief we can design your perfect advert. Don’t be daunted - think of it as a game, approach it like a child painting a picture. This is your opportunity to get maximum impact. To show off who you are and what you do, so it’s important the your give it as much thought as you can. Tips for a great advert are: Make your advert clear, concise - bullet point your skills if you can. It really helps to put a strong offer on it. Menu pricing is reassuring, a customer is more likely to choose the business that puts prices in, as they know where they stand. Pictures, as many as you can fit in if possible. ‘’A picture paints a thousand words’’ is so true, coined by Frederick R. Barnard, commenting on the effectiveness of graphics. One simple picture tells your customer what you do, who you are and what the results could be. It gives them trust and reassurance that they are making a good choice in you. Contact details, as many as you can, mobile telephones are a must for the busy tradesman so don’t be afraid to put it as the lead number. If you have them, an email address and website are also very useful. Remember: if you need help and advice putting together a brief - then ring us that’s what we’re here for. We offer a variety of sizes to suit all budgets. It’s entirely up to you to choose which advert size best suits your budget and more importantly how you want to be perceived by your customers. Remember that your aim is to be seen regularly, it’s the reassurance that the customer feels at seeing you each month, longevity should be a factor when deciding the size of advert you feel is best for you. Readers generally need to see your advert a minimum of 3 times before they may respond. If you have a budget then my advice is better one area more times, than both areas at once.